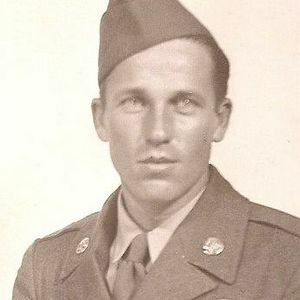 BELTON -- Earle King, 91, of Belton, died at 3:05 p.m. Monday, March 8, 2010, at Muhlenberg Community Hospital, Greenville. He was born on March 23, 1918, in Muhlenberg County, was a farmer, veteran of the U.S. Army and member of Church of Christ, Beechmont. He was preceded in death by a son, Donald King. Survivors include his wife, Nell Porter King of Belton; grandchildren, Jenny (Jay) McElwain of Belton and Kelly (Jared) Williams of White Plains; great-grandchildren, Jackson McElwain, Jordan McElwain and Jesse Williams; and a sister Ruby (G.W.) Free of Louisville. Services are at 11 a.m. Friday at Tucker Beechmont Funeral Home with the Rev. Jay McElwain officiating. Burial will be in Wood Cemetery, Penrod. Visitation will be from 5 to 8 p.m. Thursday at the funeral home. Online condolences may be made at www.tuckerfuneralhomes.com. The beautiful and interactive Eternal Tribute tells Earle's life story the way it deserves to be told in words, pictures and video.